Five star Hotel Las Madrigueras is located in the marvellous setting of the renowned golf course, in Playa de Las Americas. The three-storey colonial-style complex blends perfectly into the landscape, offering a panoramic view over the golf course and the island of La Gomera. 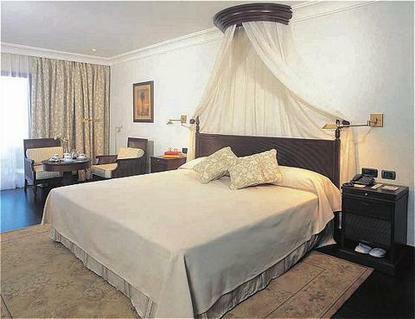 The hotel boasts 49 elegantly furnished double rooms,1 Suite, 4 exquisitely decorated Duplex Suites,1 spacious Presidential Suite with separated sitting room and 2 beautiful and luxury Royal Suites. All of them with balcony or terrace with magnificent views over the golf course.